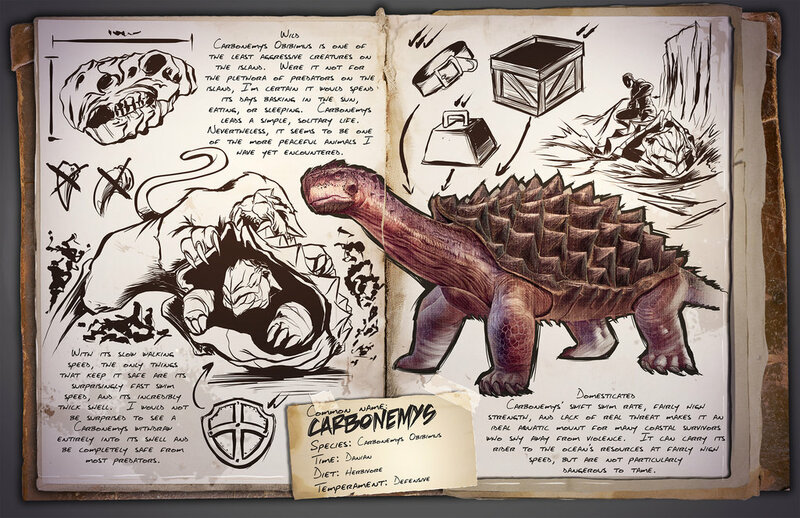 If you look closely at Carbonemys pictures, then you’ll immediately discover that this turtle was huge. In fact, it was about the same size of a small car. It was approximately 10 feet long and weighed around 1,000 pounds. 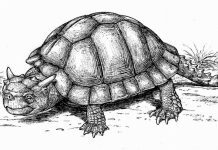 Considering that it was this heavy and likely cold-blooded, then it probably moved at a very slow pace – you might even say a turtle’s pace. 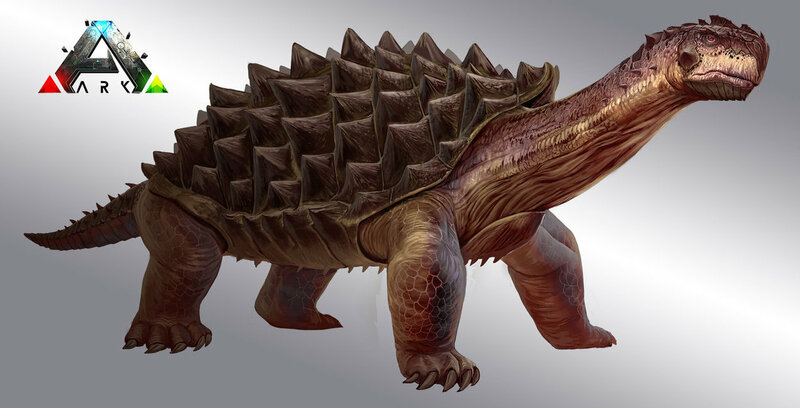 One of the most important facts about Carbonemys, however, is not its impressive size of lack of speed. No, it’s the power of its jaws. Paleontologists have speculated that the jaws of this turtle were strong enough to crush bones. Which means that it probably didn’t live on fruits and veggies like the cute box turtles of today. No, it was probably like a huge snapping turtle that feasted on small reptiles and mammals. Some paleontologists even speculate that it could have also feasted on crocodiles. 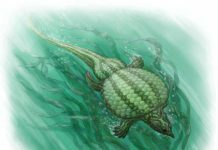 Another thing to point out about Carbonemys is that while it was pretty big and impressive, it wasn’t the largest prehistoric turtles to ever live. 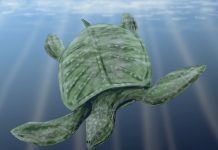 Archelon and Protostega were both much larger turtles than Carbonemys, although they both lived 5 million years prior to Carbonemys joining the scene. The last thing to be said about Carbonemys is that it lived in a part of South America in which a lot of giant reptiles lived. For instance, this giant turtle lived in this area at the same time as the giant snake as Titanoboa. Paleontologists are unsure whether these two creatures avoided each other or were mortal enemies. 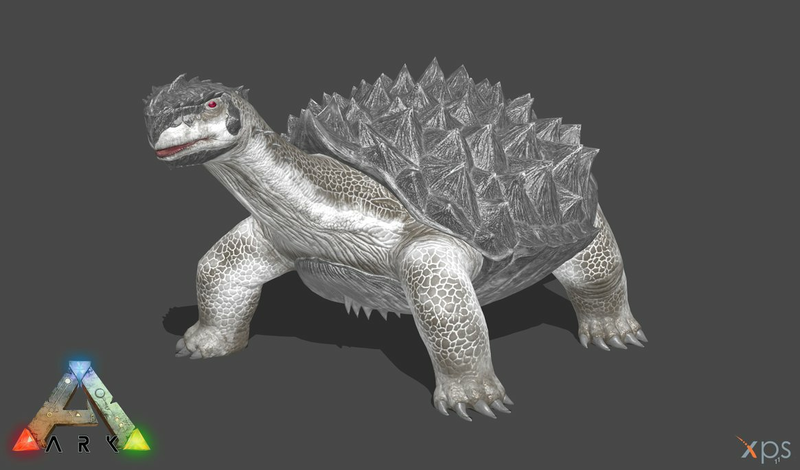 However, it’s probably quite clear that if a fight did happen between Carbonemys and Titanoboa, then it would be this giant turtle which came out the victor due to its large shell and powerful jaws.